Sometimes when you’re standing in your kitchen looking at leftovers that you know aren’t going to feed your entire family, and you wonder what you’re going to be able to do with them because you don’t want to waste food…inspiration strikes. I had two cups of rice, some leftover pulled pork from Mark’s Feed Store, and half of a leftover egg from my daughter’s breakfast. Being a Chinese food fan, my thoughts immediately turned to fried rice. I’d never tried making fried rice before, but I didn’t think it would be all that difficult, so I gave it a whirl. I added some Indian and Mexican spices to give it a little extra flare. The end result? Not the most attractive dish in the world, but it sure was tasty! 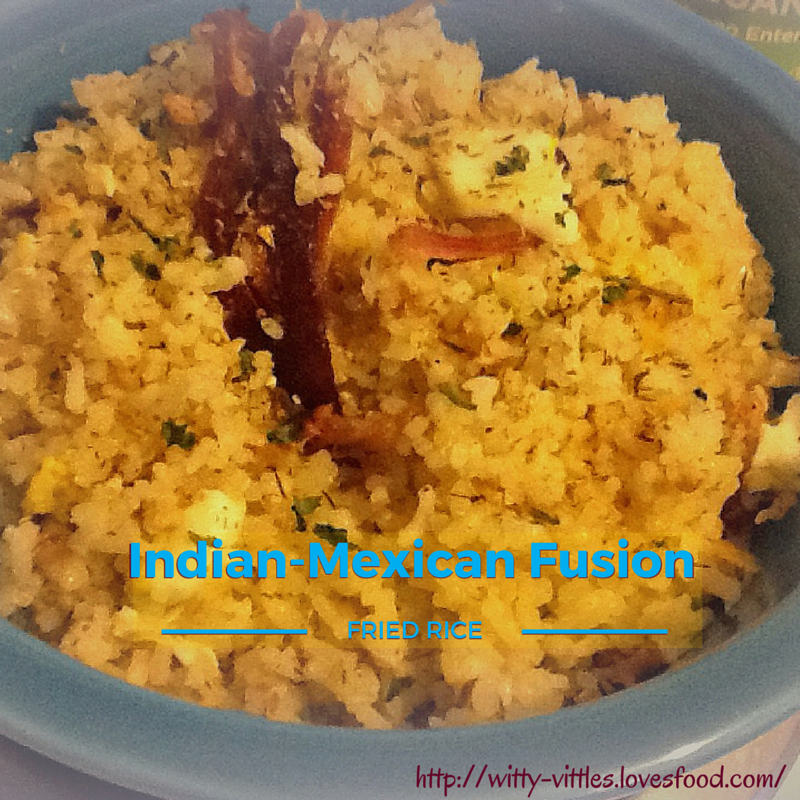 Traditional Indian and Mexican spices are added to a homemade version of a Chinese takeout favorite – fried rice. The end result is delicious! To cook the rice: Add four cups of water and two cups rice to a large saucepan. Add a dash of salt and one tbsp olive oil. Bring to a boil, and then let simmer for 15-20 minutes over low heat. Add two tablespoon of olive oil to a skillet. Heat slightly, and ensure the whole skillet is coated with the oil. Transfer the rice from the saucepan to the skillet. Break up the pulled pork and add it to the rice in the pan. Crack the egg and pour over the rice and pork. Stir thoroughly, and add the oregano, parsley, cumin, cardamom, coriander, and salt and pepper. Cook over high heat for 5-10 minutes, or low heat for 15. Serve with cooked pork or steamed veggies. If you don’t happen to have pulled pork already on hand, you can make your own. One of my favorite ways to cook pork is in the Crock Pot. Add a bit of water or chicken broth to the bottom of the Crock Pot, wrap the pork in Reynolds Wrap, and heat for two hours (if thawed) or four hours (if frozen) per pound on low heat. I always make extra rice for leftovers like this. I love the spices you added, especially the cardamom.